Earlier this month, when the Super Mario Mash-Up Pack for Minecraft: Wii U Edition was revealed, it was also announced that the game would be released on June 17th at retail, in North America. Naturally, that retail release includes the Super Mario Mash-Up Pack, which is most likely why there hasn’t been a retail release until now. But unfortunately, the press release from Nintendo of Europe did not mention a retail release at all, and Nintendo didn’t either in the Super Mario Mash-Up Pack announcement for Japan. But it looks like Japanese fans will not have to wait that long before being able to purchase the game at retail. 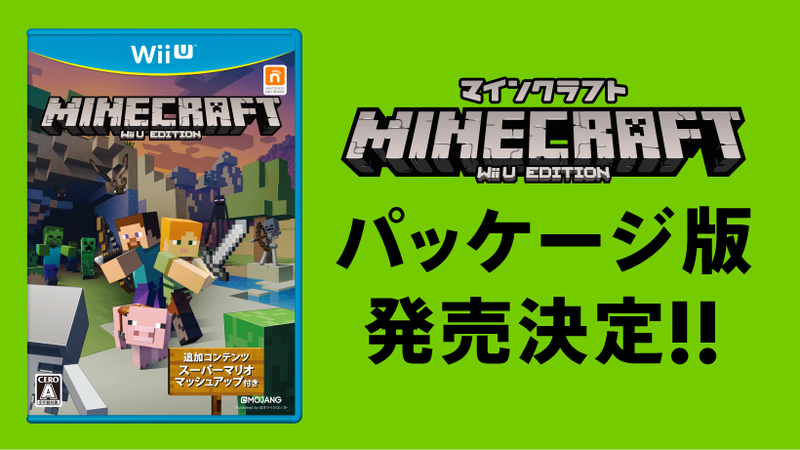 Today, Nintendo announced that the retail version of Minecraft: Wii U Edition would be available from June 23rd in Japan (one week after North America). Naturally, it will include the Super Mario Mash-Up Pack on the disc, which means players will not have to download anything. It will be published by Microsoft Japan, and will cost 3 888 Yen. Unfortunately, we still don’t know when Minecraft: Wii U Edition will be released at retail in Europe, but there’s no doubt such a release is in the works. 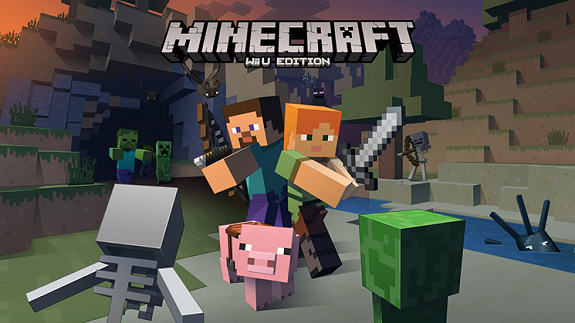 Minecraft: Wii U Edition (retail) will be released on June 17th in North America, and June 23rd in Japan. Our Upcoming Releases page has been updated!